Facebook is literally the biggest social media platform on Earth. It is humanity’s version of a collective consciousness that belonged to Borg species in Star Trek. That was a terrible example. Anyways, the Facebook app is itself a catastrophic black hole of phone resources. It slows the phone down, drains the battery, and Facebook isn’t doing anything to improve it. Even if you just use it blindly, there is a ton of bloat on the app itself. Originally, it was a platform to bridge the geographical gap between people. But slowly, it became a jargon of services and ads that Facebook wants us to use. Facebook uses every petty little opportunity to shove things on your screen that you don’t want. There isn’t a shortage of third-party Facebook clients on the Play Store, however, not all clients are the same. Some are lightweight, some are highly functional and some are beautiful. 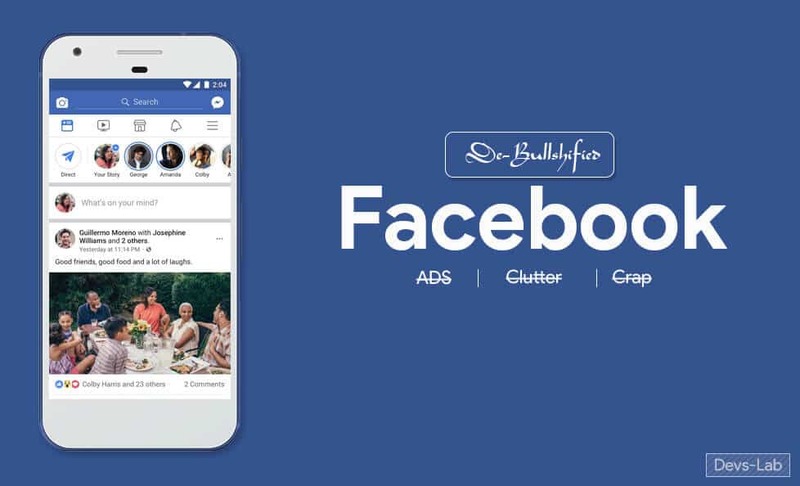 Today we have an app that simply cuts through all the clutter and sets you free to browse your Facebook feed with no visual distractions. The app developed by an XDA member, evilwombat, aims to remove things like “Related Articles”, “People Also Shared”, “More Videos”, etc that creep up relentlessly deterring users from a strings free experience. He calls the Facebook LC (Less Crap). 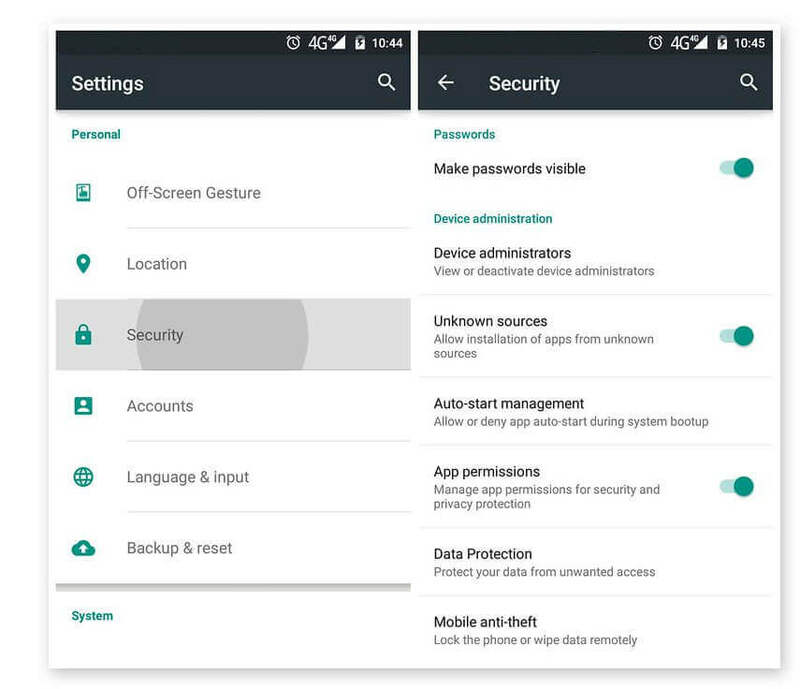 The modder says that these things can be removed through Xposed extensions too but having an app will not require root. You just have to use the download the APK and that’s it. As to the changelog, the dev has posted a long feature list of the app and the bloat it’s going to hide. Hide “Groups You Should Join” / “Suggested Groups” (we are all capable of using the search box to find things we care about, thank you very much). Note: Facebook will most likely perform server-side checks, to prevent you from getting into something you’re not supposed to see, and they’ll probably flag your account if you mess around with this. Or worse, they’ll be onto us. You have been warned. Step 1. Removed all the previously installed Facebook Apps i.e Facebook, Messenger, Groups, Page Manager etc. These do not always cause installation problems (though they should). Step 3. Download the required Apps from the download section at the bottom of the post. Click on the APK files to install them. Step 4. If you get any error while installing this Apps, install them via ADB. There are much more things that the app hides. In short, it is an attempt to let users do what Facebook was meant to do (let people communicate) organically without all the garbage. If you are looking for such an experience, you should try this app.